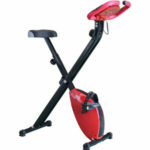 Does The FRONTIER NIMBUS Magnetic Exercise Bike Offer The Reliability And Performance Expected? It is easy to joke about German manufacturing and efficiency but there is still an expectation of reliability and quality when dealing with German products such as the FRONTIER NIMBUS PREMIUM 24 PROGRAM Magnetic Exercise Bike. This bike boasts a servo adjusted magnetic flywheel, self-righting pedals, a console to show data on speed, calories, distance and other relevant information and a range of functions to aid with fitness and weight loss. Are buyers enjoying all that is supposedly on offer here or have they expected too much from a German name? 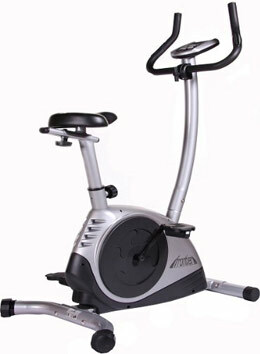 What benefits have buyers noted when trying out this FRONTIER NIMBUS German Magnetic Exercise Bike? Comments about this bike include “basic” and “reliable but not too fancy” yet these are the sorts of words being using in some of the highest rated reviews. They are not glowing endorsements but instead of highlighting limitations these reviewers are emphasising the simplicity of the product for an average user. This sense of functional reliability is emphasised with feedback about the sturdiness of the FRONTIER NIMBUS Magnetic Exercise Bike and the performance. It can take users up to 19 stone, promises “excellent smoothness” from this 8kg flywheel and 3-piece crank (and delivers) and is even easy to put together, taking an average of thirty minutes. Despite this beneficial simplicity, there are some extra advantages to the programming and construction that reinforce the high overall satisfaction. The saddle is not at a fixed height and can be easily adjusted for different users, it has wheels for transportation and the console clearly shows the data – in bar graph form if desired – as well as the different functions of the bike and makes them accessible. Some buyers are surprised at just how many programmes there are, in fact there are 24 in total with different focuses such as body fat measurement. 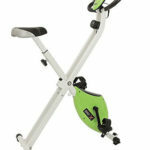 Does this FRONTIER NIMBUS Magnetic Exercise Bike have any downsides to be aware of? The presence of all these features is great but the status of the bike means they are not always in perfect working order and there are some low-end parts to put up with. The inaccuracy of the heart rate monitor, which comes via pulse grips in the handlebars, comes as no surprise to many users as it is a classic problem with low end models but the phrase “wildly inaccurate” does suggest this model is particularly bad. Additionally, the saddle is adjustable but some say it can get a bit uncomfortable after a while and while it is listed as a PU comfort contoured seat, it is clearly not suited for everyone. Positive riders see this simply as a motivational tool to pedal harder and reach their goal. 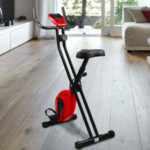 Summary: Is the FRONTIER NIMBUS Exercise Bike still recommendable with these flaws? The final verdict on this product goes back to this idea of it being a basic bike. There is not much to it in terms of its function and features, and this may be a problem for fitness fanatics, but it is great for those that just want a simple static bike to keep up their fitness levels because of the reliable performance and ease of use. The small inconveniences of the comfort and heart rate monitor are overshadowed by the variety, adjustability and general value for money and that is why the FRONTIER exercise bike is so recommendable.